The Competence application facilitates and streamlines the employee review process. Employees are evaluated and scored on a fixed set of skills, and the app tracks skill competency, education & certificates, salary specifications, employment types, sites and departments. A score-based standardized evaluation process enables HR managers to track current progress and compare with earlier results. Managers acquire a greater insight of employee performance across various department, sites and job roles. Data presented via charts and graphs provides better access to reports and analysis at the company level. Arver Lastbilar AB is Sweden’s largest independent reseller of Scania trucks. Arver has facilities located in nine Swedish cities where they sell, rent and service trucks. 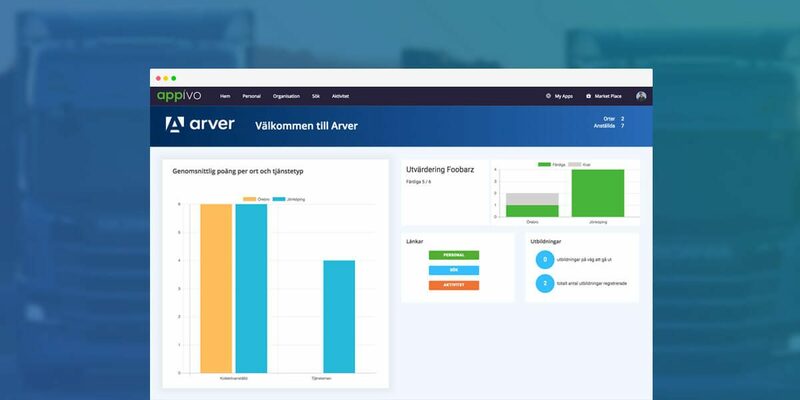 The Competence application was developed using the Appivo platform as a bespoke solution for Arver. It simplifies the employee evaluation process and helps in tracking employee training and related activities. 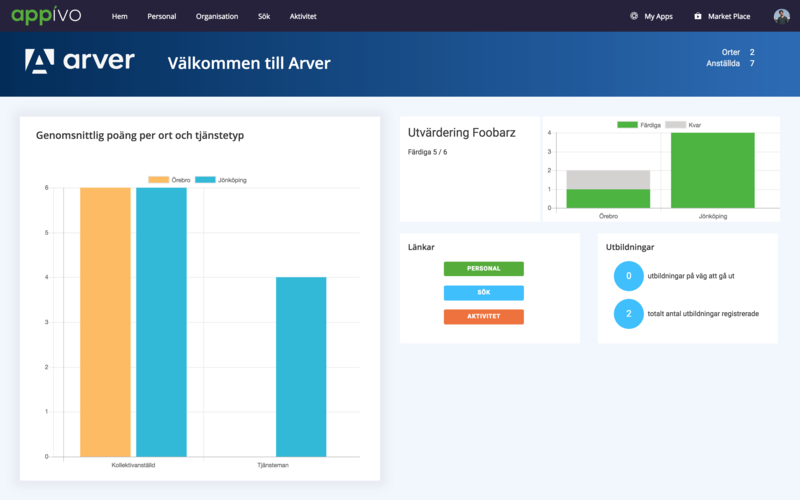 Arver is already planning to extend this app to incorporate additional HR processes. HR managers conduct annual performance evaluations of their employees. 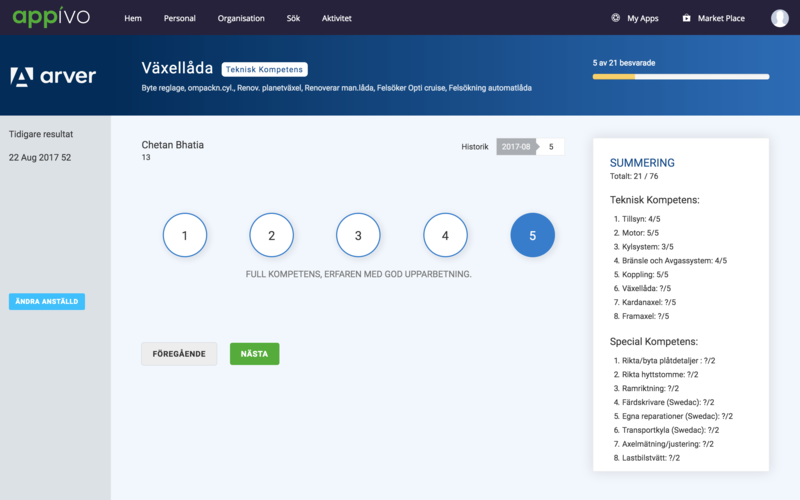 The Competence app facilitates employee evaluations by enabling scoring or commenting on all the skills and abilities associated with the employees based on their employment type. The sum of all scores is then mapped to a salary range, per HR policies. Comparing previous evaluations scores helps to detect progress and weaknesses. Managers are then able to offer skill development and educational courses to improve weak skills and set goals for next year. The app also tracks certifications of employees and triggers alerts when a certification is about to expire. 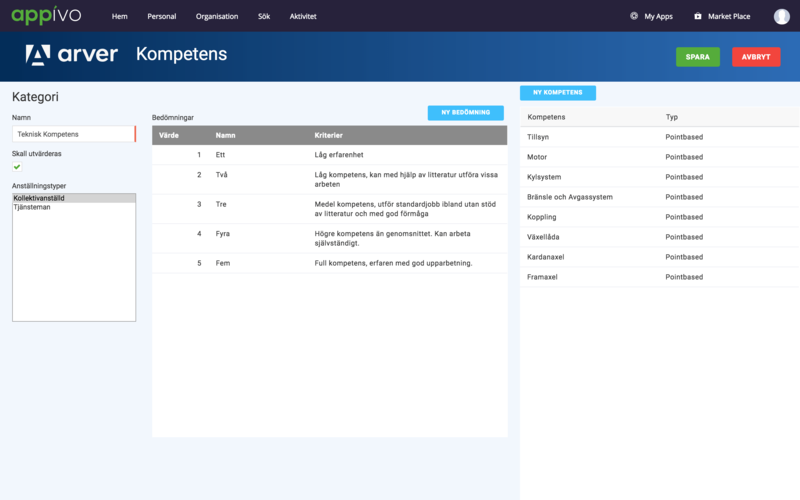 The Competence app manages data from different sites, departments, employment types and more. 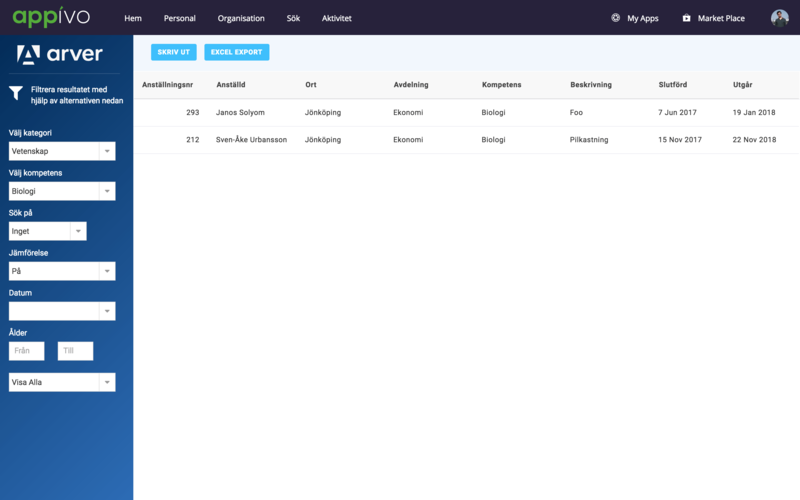 The app can be configured to include company-specific content like employment types, salary ranges and competencies across sites and departments. Chart-based reporting provides quick overviews of performance across sites, employment types, education or any other suitable parameter. 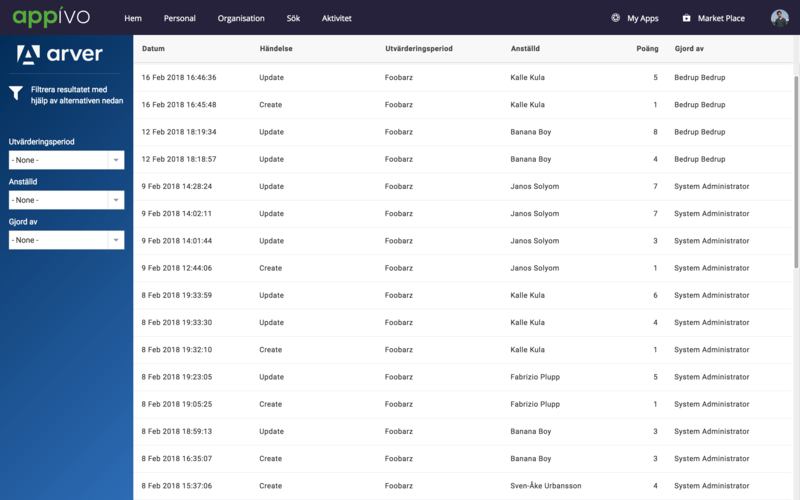 Comprehensive search allows management to drill into details based on various criteria, such as “show all employees with a score of less than 60 from site ‘X’.” This granular ability helps management more accurately assess and train their employees. 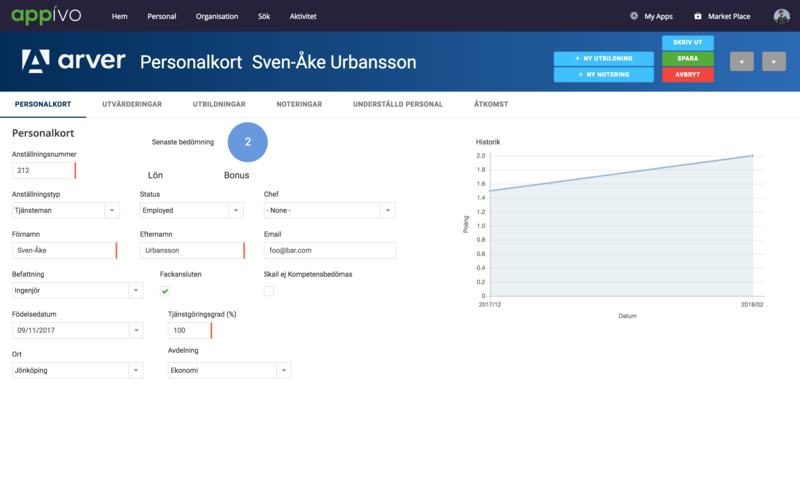 The Competence app was built by Appivo with the Appivo App Builder, and runs on the Appivo App Platform. It took about 10 person-weeks to build and deploy; compared to more than triple that for traditional app-dev methods. Ask Appivo to build an app for you, or find out how you can build apps with the Appivo App Builder.